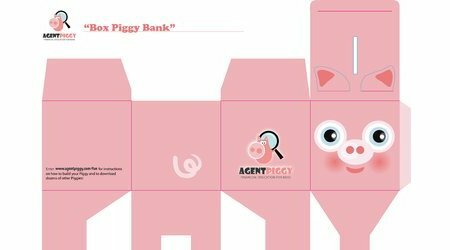 Download your Paper Piggy Bank for free. Have fun building it yourself in 5 easy steps. Think about something you really want and start saving to get it. Save as much as you can! 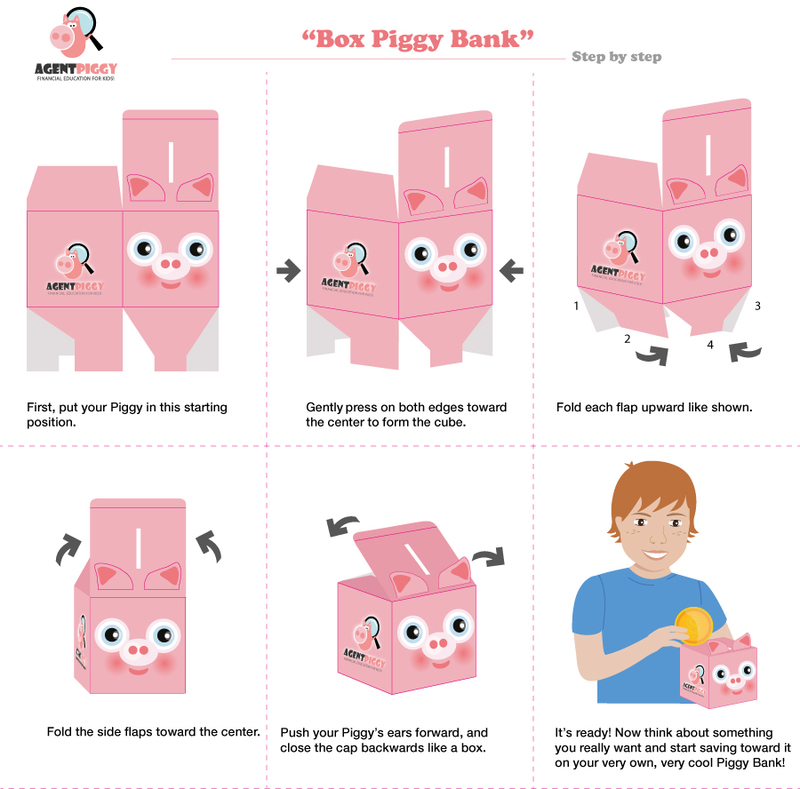 Try to fill your piggy bank with your savings! 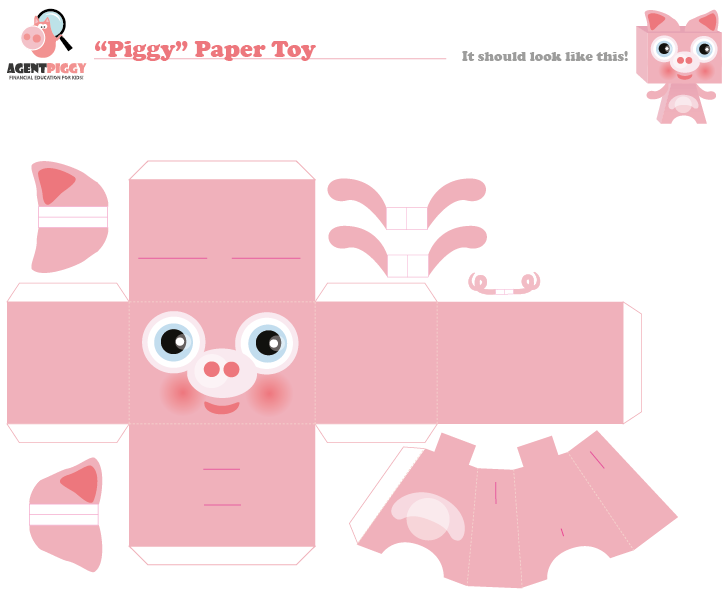 Download your Piggy Paper Toy for free. Have fun building it youself in 6 easy steps. Collect all the different paper toys we have available in our toy section. 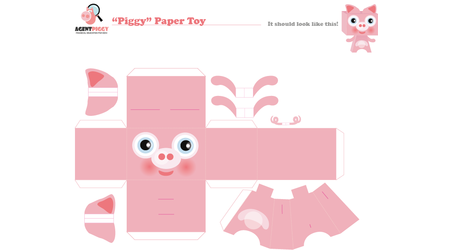 You can have this paper toy for free, but to download the complete collection you need to earn Piggies and redeem them at the Marketplace. 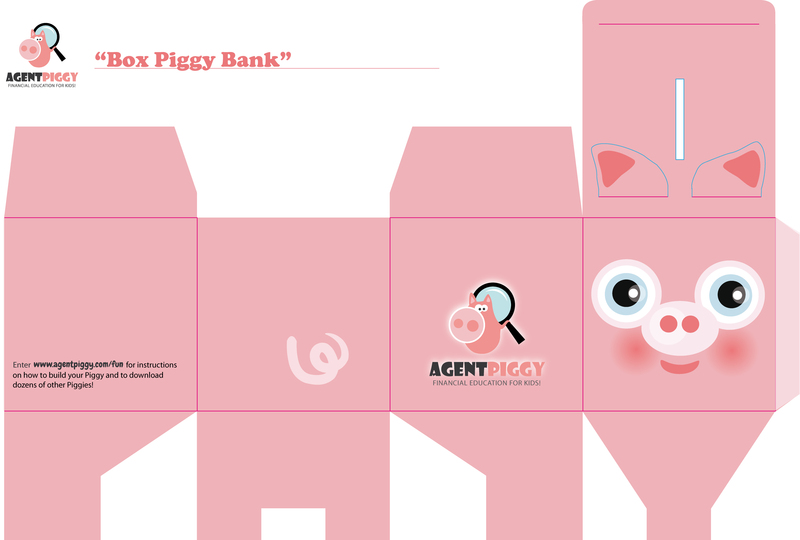 2011 - 2019 Agent Piggy. All rights reserved.